Turkey is taking all the necessary measures to prevent jihadist terrorist organizations from attacking moderate opposition groups and civilians in Idlib province, the Turkish foreign minister has said, amid claims that violence erupted between Hayat Tahrir al-Sham (HTS) and the Free Syrian Army (FSA). “We are taking all necessary measures to stop these attacks by radical groups. Our officials have taken the necessary steps for the cessation of armed conflicts in Idlib,” Foreign Minister Mevlüt Çavuşoğlu told the private broadcaster NTV in an interview on Jan. 10. 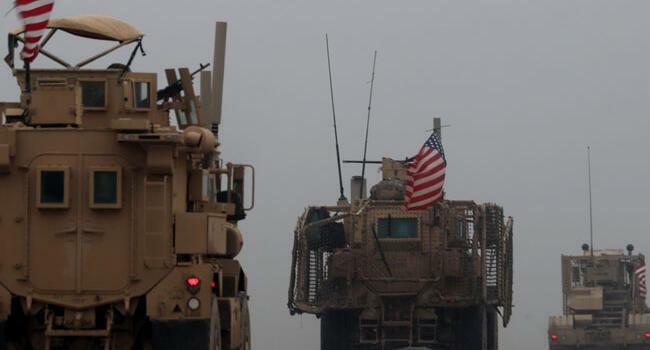 The last two weeks have experienced an escalation in tension between jihadist groups and moderate opposition groups in Idlib as the center of focus shifted to eastern Syria after the U.S. announced it would withdraw troops from the country. Scores of people, including civilians, have been killed as a result of attacks by the jihadist groups in the enclave where Turkey and Russia had agreed to set up a demilitarized zone. The Turkish and Russian defense ministers held a phone call late Jan. 9 to discuss recent developments in Idlib and ways to stop the violence. Çavuşoğlu described the intensification of HTS’ attacks as an attempt to increase the influence and territory of the jihadist groups against the moderate opposition groups. “The attacks by these radical groups are not targeting the regime or the Russians. They are trying to increase their control over moderate groups,” he said. Turkey’s cooperation on countering terrorism with Russia is good, just like with other countries, Çavuşoğlu said, underlining that both countries are satisfied with the implementation of the Idlib agreement although there have been some delays. “It’s not easy to handle all these in the presence of radical groups,” the minister added. The agreement between Turkey and Russia in September 2017 called for the stabilization of Idlib’s de-escalation zone, in which acts of aggression are expressly prohibited. Under the deal, opposition groups in Idlib will remain in areas in which they are already present, while Russia and Turkey will conduct joint patrols in the area with a view to preventing renewed fighting. However, these patrols have not yet been implemented. Çavuşoğlu, in remarks over the U.S. withdrawal process, repeated Turkey’s determination to carry out a military operation against the YPG in the east of Syria, stressing that its “anti-terror commitment” is not dependent on the American troops’ pull-out from the war-torn country. “They need to understand this: Our operation against the YPG/PKK is not dependent on the pullout of the U.S. troops from Syria,” Çavuşoğlu said. Çavuşoğlu’s statements follow President Recep Tayyip Erdoğan’s vow for an imminent operation into Syria to eliminate the YPG from its borders. Turkey had said it delayed the operation in mid-December after the U.S. decided to withdraw troops from Syria. But recent talks in Ankara between the two countries’ officials have not been successful, as Washington conditioned Turkey to provide assurances for the protection of the YPG. Çavuşoğlu recalled that Turkey had decided to carry out a military operation inside Syria to clear its borders of the YPG “way before” the U.S. announced its withdrawal from the country, adding that Ankara’s decision to postpone it was to avoid a complication during the pullout of the American troops. But, he said, Turkey’s determination is still prevalent and stalling the withdrawal process would trigger an intervention by the Turkish army. “Turkey will do whatever is necessary against a terror organization posing a threat on its national security,” he said. 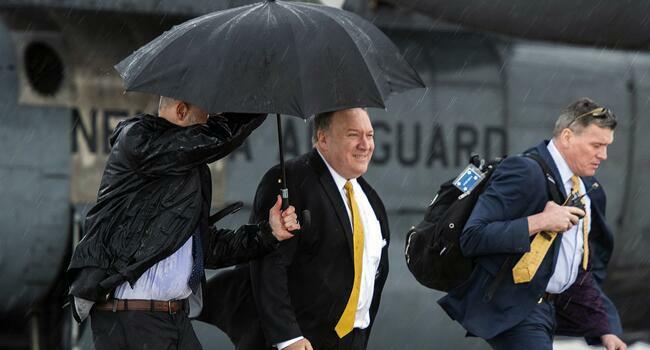 Statements by U.S. Secretary of State Mike Pompeo and White House National Security Adviser John Bolton over the need of a protection of the YPG are evidence of hesitancy in some parts of the U.S. administration on the U.S. withdrawal from Syria, Çavuşoğlu said. “When you are in engagement with a terror organization, you cannot save yourself of its influence. You are slowly going under its control. It’s not right for such a huge country, a NATO ally, despite our long-standing cooperation, to speak like the supporter of a terror organization and to make up an excuse in order not to pull out [from Syria],” he stated. The U.S. has to keep promises it delivers and it has to start doing this with Manbij, the minister said, citing some positive developments with regard to the full implementation of the road map he and Pompeo had brokered last summer. On the fight against ISIL after the U.S. withdrawal, Çavuşoğlu reiterated that Turkey can singlehandedly handle the job either by using ground or air forces but without giving technical details. On Turkey’s demands for an in-person bilateral meeting between President Recep Tayyip Erdoğan and Russian President Vladimir Putin, Çavuşoğlu said talks will soon be held and that they were waiting for Moscow’s proposals for a date. He also stressed leaders of Turkey, Russia and Iran will meet again this month in a trilateral summit on Syria.